I’ve read numerous comments and reaction blog posts – opinions and feelings are all over the map. It’s obvious that many quilters are offended, angry, and confused. As a new-ish millennial quilter, I have to admit I am fairly neutral about this issue. It’s not that I don’t care, because I want to understand everyone’s point of view and can relate to the various perspectives. The reason why I don’t have much of a stance is because I don’t enter my work for quilt shows. 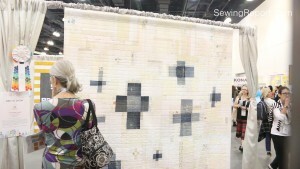 Don’t get me wrong – I enjoy quilt shows, competitions, and conventions. Had a blast at QuiltCon, as evidenced by a few articles and videos produced during the 2016 event in Pasadena. It’s no secret that I don’t sell quilts, and sew only for fun and enjoyment at this time. My reasons for not submitting quilts for shows/competitions are similar to the ones I have for not selling sewn items or trying to create/sell patterns. TIME – working gets in the way of my sewing and quilting obsession. Each year, I only make between 2-3 quilts. Making a quilt specifically for the purposes of showing/exhibiting would involve more careful execution (hand binding vs. machine binding). It would be amazing to have the luxury of making more quilts, and someday perhaps that will happen! STRESS – the idea of scrutinizing over my work and having to follow a set of rules for creating would take the fun out of quilting for me. I prefer to make what I want and not worry about whether it is “show worthy” – I can easily share quilts on this website, my YouTube channel, Instagram, and Snapchat. OTHER INTERESTS – writing, shooting & producing videos, gardening, obligatory household duties, trying to spend time with my husband… Besides quilting, there are so many other activities and responsibilities that take up my free time. If I’m shooting a video while sewing, it takes at least twice as long to accomplish the same thing as someone just sewing – then double that number for editing. Writing content like this doesn’t just magically appear, it takes time – time that cuts into quilting. As far as copyright and derivative work goes, everyone seems to have a different opinion. The majority of my quilts have been comprised of traditional blocks (half square triangles, scrappy Hunter’s Star, patchwork, flying geese) or something from my own imagination. I don’t tend to take an existing pattern and modify it. Embarrassingly, I have lots of sewing and quilting books, but have rarely made any of the projects in them. 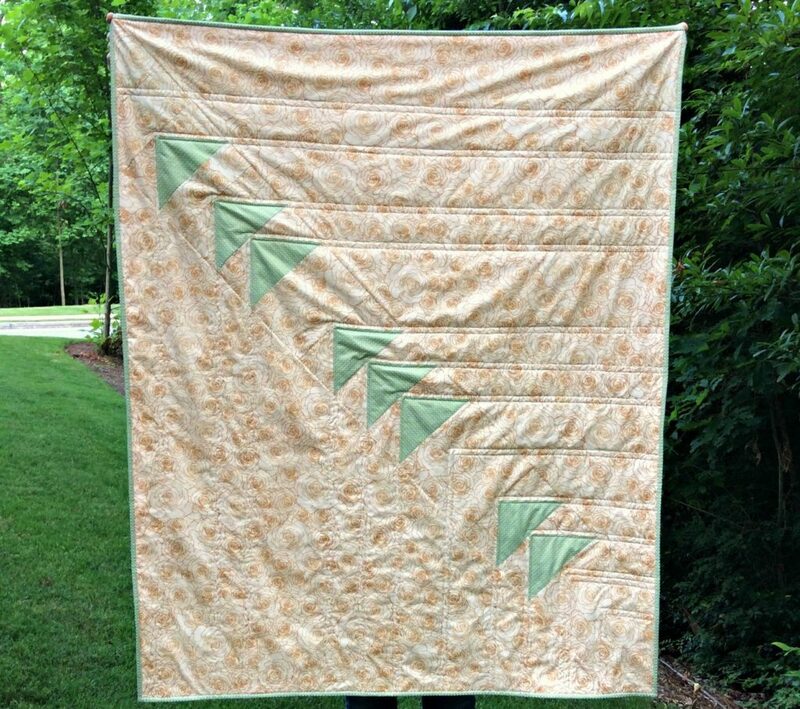 The Retro Plaid Quilt by Suzy Quilts is only my second time following a quilt pattern exactly. I enjoy using my fabric choices, rather than pattern modification, to customize a quilt. The wonderful thing about quilting is that you can totally do your own thing. Make whatever you want, with any sort of pattern or design, in your own unique style and voice. My personal situation involves a rather unorthodox work schedule – meaning that I am not able to be involved in a quilt guild or local organizations that require physical attendance. I sew on my own time in my own space. The internet is what allows me to connect with fellow quilters and share projects, tips, and thoughts. No matter what type of quilter you are, the most important thing is to DO IT and share your love of this art with others! Just so we don’t take ourselves too seriously, I leave you with this.